As the local population is coming to grips with the launch of Pokémon GO Singapore today, one mall has taken the first step in what can be seen as a logical move to attract players of the game. 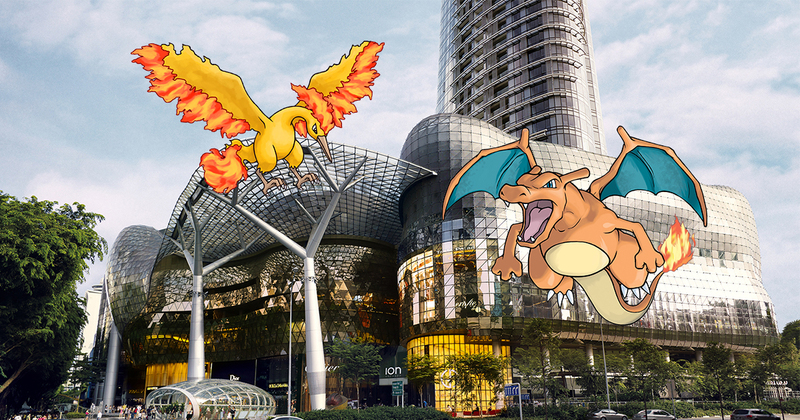 The management of ION Orchard has announced that they have already started putting up lures in the mall, to attract players of the game hoping to catch ’em all. In a statement to TODAY, Orchard Turn Developments has plans to release ‘hundreds’ of lures, starting today 6th August, to attract players of Pokémon GO app, in a bid to attract the potential massive footfall that it could bring into the shopping mall. TODAY also found out that CapitaLand is also launching a similar promotion with campaigns that will span across all its developments, including malls, offices, and residences, with players being bale to earn points when they screenshot themselves playing at CapitaLand facilities, and these points can be used to redeem shopping vouchers. We’re READY! Pokémon Go Is Finally Out In Malaysia and Singapore!